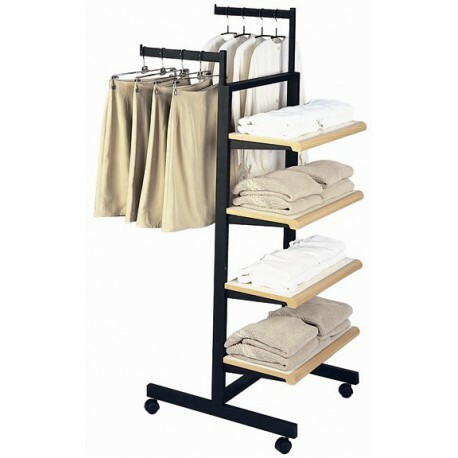 • Rack Frame Made of 1" x 2" Rectangular Tubing. 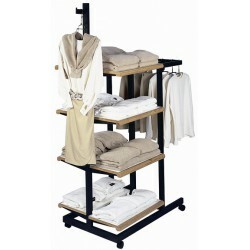 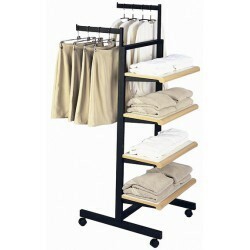 • Includes 2 Straight Arms, 8 Shelf Brackets and Casters. 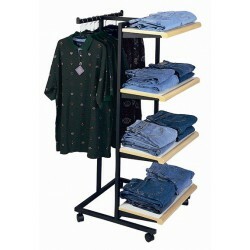 These displays offer an interesting alternative to standard merchandising presentations. 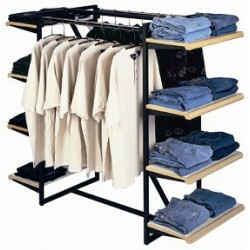 The combination of face outs and shelving encourages a cross selling and captures customer attention. 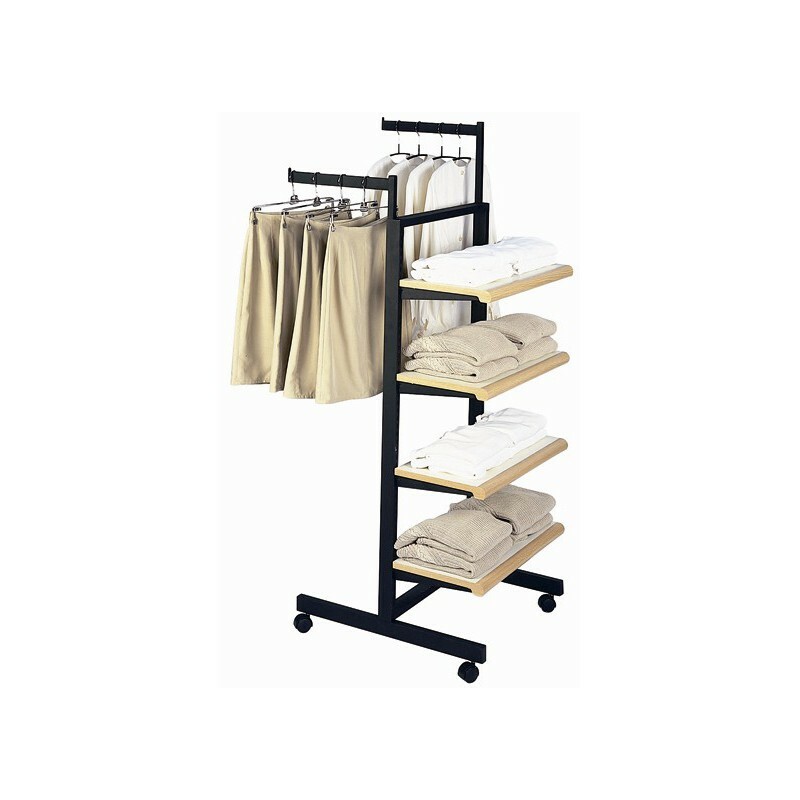 Finish is Black Matte and Duron shelves are available in white with light oak bullnose trim.